Did you know mailing jewellery or a Christmas card with cash overseas, or more than $200 domestically, is prohibited in Australia? With Christmas just around the corner, many Aussies are sending gifts for loved ones through the mail. However, overlooking crucial shipping restrictions will delay getting presents under the tree. Furthermore, before you fly, it’s wise to check with your airline as that gift you’re carrying may be prohibited on planes. Australia’s leading insurance comparison website, comparethemarket.com.au, has done the research and revealed the Christmas gifts that may not be able to go through the post or be taken on a flight. Depending on the gift and airline, some restricted items can be packed in checked baggage. Cards with cash. 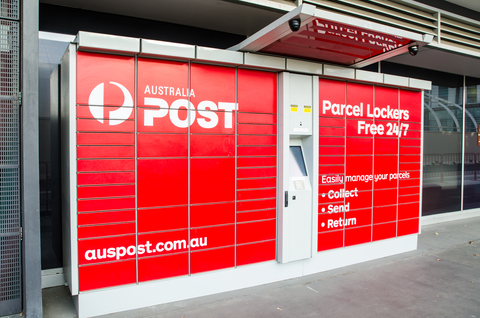 Aussies might be surprised to know that they cannot send holiday cards with cash overseas, or more than $200 domestically. Sending gift vouchers are a good alternative, or sending a card but then transferring the money instead. Jewellery. You cannot go wrong gifting anyone with jewellery, however gold and silver jewels and precious stones may not be permitted in certain international services and some countries will not accept them unless they are insured. Toy pistols with paper caps. Any toy gun with a paper cap is classified as an explosive and cannot be sent anywhere. Reconsider the types of toys you want to mail out this holiday season. Gifts valued at $2,000 and more. Be careful when sending expensive gifts to loved ones overseas. Any gift that exceeds $2000 in value in a single consignment must be registered with Customs and Border Protection Service. Senders can register by submitting a form electronically, at a Customs office or KeyPost authorised post office. Hair products. Reconsider sending hair spray or dye this Christmas, as certain hair colouring products, including peroxides, and any flammable liquids cannot be sent through the mail. Extra lithium batteries with your toy gifts. Do not package additional lithium batteries with your toys. Any batteries must be installed in the gift for the device to be sent and not in the packaging with the device. Fruit and vegetables. A fruit hamper is a great Christmas present idea, but even sending produce interstate can be a complicated process, with certain fruits and vegetables requiring permits. Due to the possibility of pests and diseases, some are prohibited completely. Toys with lithium batteries. Thinking of bringing or sending remote controlled toys? Aussies might have to rethink any gift ideas that have lithium batteries, as they can be dangerous when put on aircrafts and are prohibited in carry-on luggage. Ice skates. A pair of ice skates may not be under many trees this sweltering Christmas, but any Aussies planning on taking them to a snowy destination such as Europe or North America should purchase them abroad or pack away in their checked-in luggage. Customs classify ice skates as sporting goods with sharp edges that are capable of injuring a person. Alcohol. Bottles of wine, beer or spirits over 100mL are not permitted onboard a flight, unless it is packed in checked baggage or purchased at duty free. The number of bottles allowed into a country varies too, so it is advisable to check local restrictions in the destination country before splurging on alcoholic gifts. Darts. Unless it is the magnetic type, darts would not be the most ideal gift to take to a relative or friend overseas. The sharp points could cause serious issues for any Aussies at the security checks, especially if they decide to take them in their carry-on. Slingshots. Slingshots can be a fun gift idea for a niece or nephew – only if it is packed away in checked luggage. Slingshots are considered a weapon and can’t be carried on a plane. Perfumes or cosmetics over 100mL. Perfumes are considered flammable goods, which are restricted in the cabin but may be packed in baggage, depending on the airline you fly with. This also applies to any cosmetic products in liquid form that are over the 100mL limit. Aussies looking to splurge on perfume or makeup over 100mL should consider purchasing these items at duty free. Cricket bats or golf clubs. Larger sporting items are also prohibited onboard a plane, including cricket and baseball bats, hockey sticks and billiard cues.